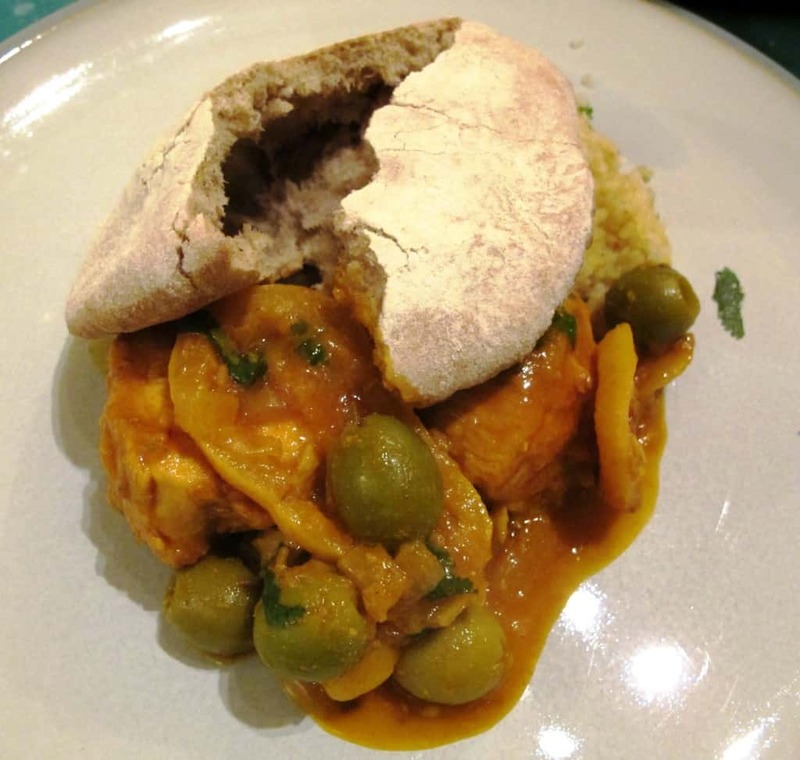 It’s amazingly quick and easy to make great home-baked pita breads. Very few ingredients are needed to bake these lovely round/oval flatbreads and the delightful ‘pocket’ is simply created by steam puffing up the dough when exposed to a high temperature. Preparing the dough is very straightforward and you can choose to refrigerate part of it for the next day or later in the week. It’s the pocket that makes pita bread so very practical and versatile. Here are some ideas for filling, dipping and wrapping. Fill with souvlaki, tzatziki… anything Middle Eastern, North African, Greek and Turkish will work a treat – add french fries if you feel naughty! Dissolve the honey in the tepid water. Combine all ingredients (except the oil) in a large bowl until the dough comes together and you can form a rough ball. Add the oil towards the end and a little more water if not all of the flour can be picked up. Place the dough on a clean work surface and knead until it is smooth and elastic, about 10 minutes. Lightly oil the large bowl you used earlier by spreading a glug of oil with a kitchen brush. Put the dough back into the bowl. Cover and let rise in a warm spot until it has doubled in size, approximately 2 hours. Deflate the dough to release the trapped gases. 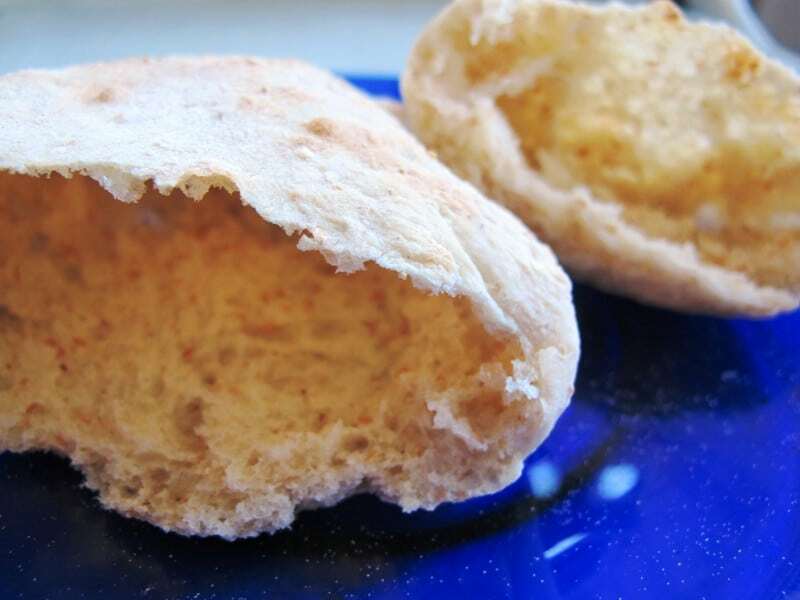 Once risen and punched down, you can refrigerate the pita dough until it is needed – it will keep in the fridge for about a week. Shape the dough into a 25cm long log. Divide the log into 10-12 pieces and shape each piece into a ball. Dust the balls with flour, cover with a tea towel and leave to rest for 20 minutes (you’ll be able to shape the dough much easier after this time). Meanwhile, preheat the oven to 250º – the highest setting you have. If you are not using a baking stone, leave the baking tray in the oven to heat up and make sure it is placed near the bottom of the oven. Roll each dough ball into a 15cm circle, about 6mm in thickness. Bake until the pitas puff up, have lightly browned and fully ballooned, circa 4-5 minutes. Don’t overbake them as they should come out still soft, not with a hardened shell. If they don’t puff, the oven/baking tray isn’t hot enough. Don’t throw out pitas without pockets – they are still delicious disks of goodness and great dipping material. Turn over and bake for another minute. I usually bake about 4 – 6 pitas at a time, removing the baked pitas with a spatula before placing the new dough disks on the baking sheet. Cool for a minute or two; the puffed up pitas will collapse and flatten as they cool. 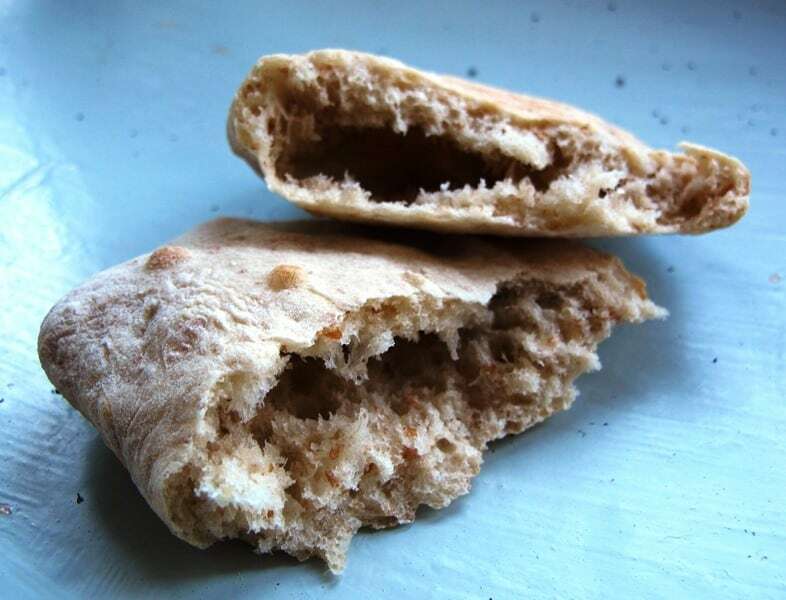 Pita breads are best eaten when still warm. Alternatively, store in freezer bags at room temperature for up to 5 days. Looking for a bread recipe full of wholesome goodness? 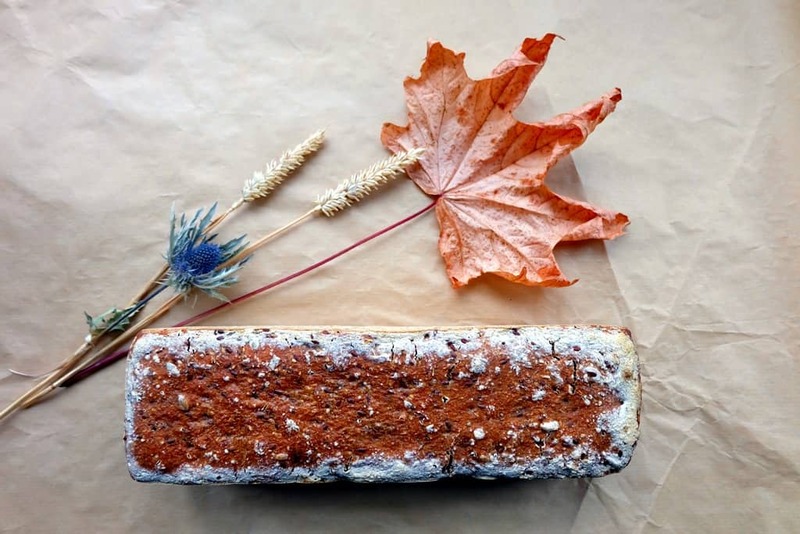 This loaf of brown seeded wholemeal bread is bursting with healthy seeds and kernels. Great for using up the various bits and pieces you might have waiting in your store cupboard! Makes one loaf of brown seeded bread. Combine these ingredients in a medium bowl, cover and keep at room temperature for approx. 16 hours. Combine in a small bowl and cover for approx. 16 hours. You can replace some of the above and mix in some rolled oats or poppy seeds or even some chopped nuts, whatever you have available or feel like. Place the seeds in a frying pan (no oil!) and toast the mixed seeds for about 10 minutes, stirring frequently, then leave to cool. (Alternatively, you can toast the seed mix in the oven at 150°C). Combine the sourdough, flaxseed soaker, wholemeal flour, water and salt in a large bowl, then knead for 10 minutes. It’s important to get the consistency of the dough right, so make sure it’s not too dry and not too wet. Add some more water if the dough is hard to knead. If in doubt – wetter is better! Add in the toasted seed mix until evenly distributed. Cover and leave to rest in a warm place for ½ hour. Butter a lidded pullman loaf tin, then move the dough from the bowl into the tin. Squash the dough in quite firmly and evenly. Cover the tin with the lid and place in the fridge overnight or approx. 12 – 16 hours. Take the pullman loaf tin out of the fridge and preheat the oven to 190°C for 20 minutes. Brush the top of the dough with water and sprinkle some more sunflower seeds on top. Bake at 190°C for 1 hour. Remove the bread from the tin approx. 15 minutes before the hour is up and put back into the oven – the bread will get a much better crust that way. Remove from the loaf pan, wrap in a clean kitchen towel and leave to cool on a wire rack. The brown seeded wholemeal loaf is delicious for breakfast and perfect also with salted butter and peppered, smoked mackerel or potato, root vegetable and sour cream soup.